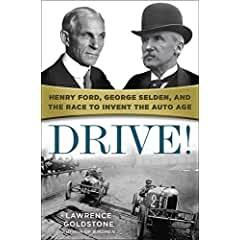 -- a revelatory new history of the birth of the automobile — an illuminating and entertaining true tale of invention, competition, and the visionaries, hustlers, and swindlers who came together to transform the world. 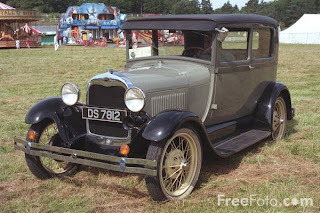 With a narrative as propulsive as its subject, Drive! plunges us headlong into a time unlike any in history, when manic innovation and consumerist zeal coalesced to forever change the way people got from one place to another. -- Before slim laptops that fit into briefcases, computers looked like strange, alien vending machines. But in the most staggering burst of technical invention by a single person in high-tech history (BusinessWeek) Steve Wozniak invented the first true personal computer. 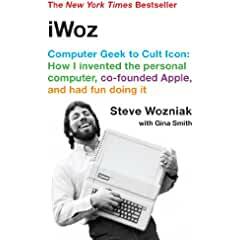 Wozniak teamed up with Steve Jobs, and Apple Computer was born, igniting the computer revolution and transforming the world. Here, thirty years later, the mischievous genius with the low profile treats readers to a rollicking, no-holds-barred account of his life — for once, in the voice of the wizard himself.